Lace up tops are everywhere this season and can add a cool retro vibe to any outfit whether its for day or night. Start by measuring approx 10cm down from the center of the neckline and mark, then 5cm each side of the line at the top, then bring to a point at the bottom to form a triangle shape like below. This is the area you will be cutting out. 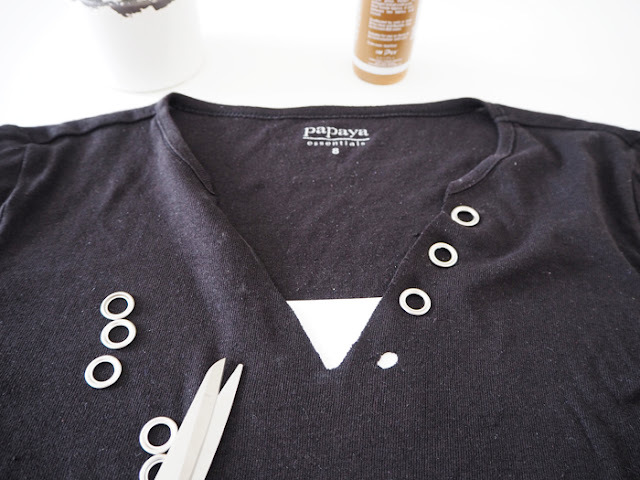 I used a tailors chalk to mark on my triangle as this can easily be rubbed off afterwards. 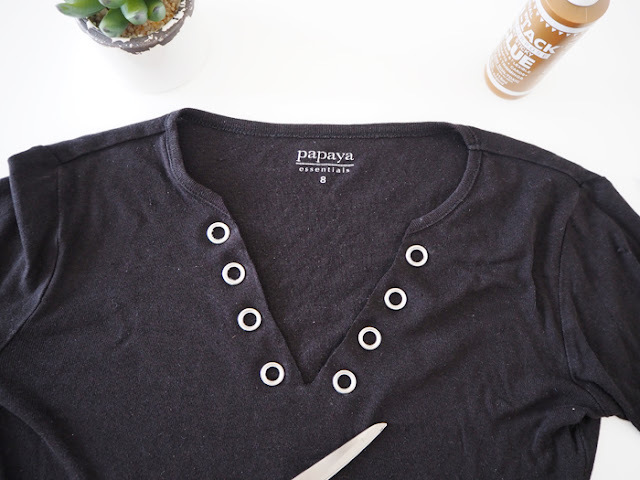 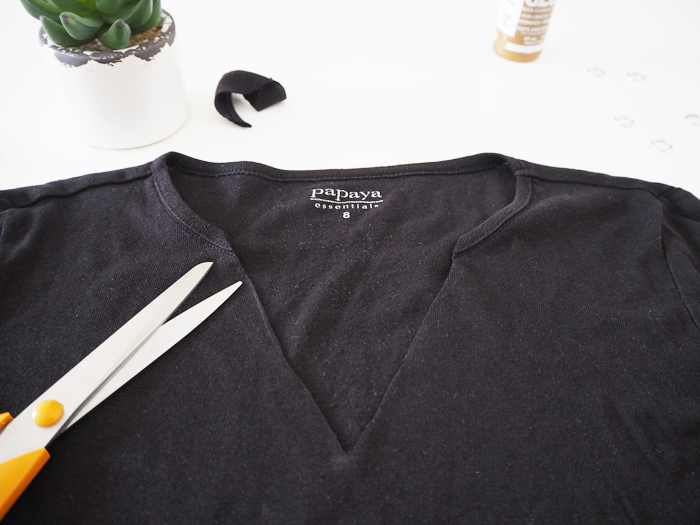 Cut out your triangle shape on the neckline, making sure not to snip the back of the top. 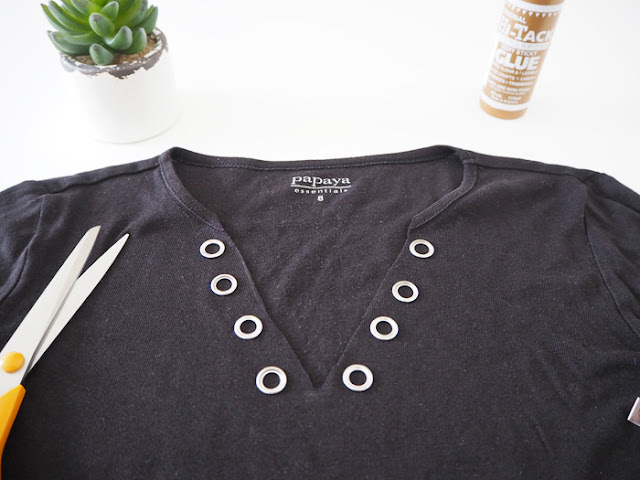 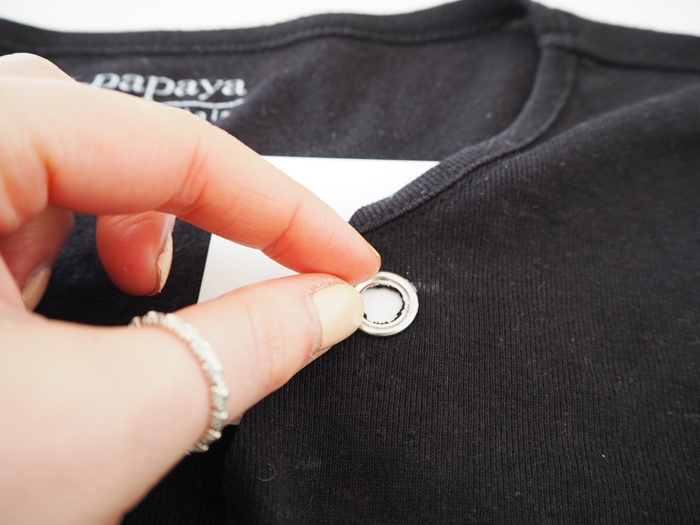 Evenly space out your eyelets along the v shape and mark on when you are happy with the layout. I used four on both sides, but you can use as many as you want depending on how spaced out you want them to be. 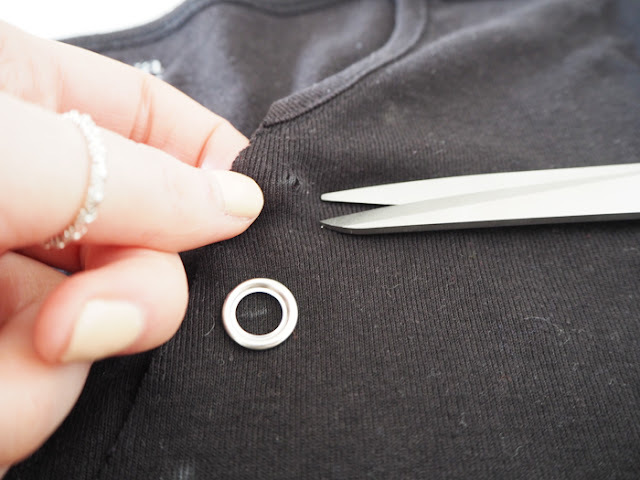 Once you have decided on positioning of the eyelets, carefully snip a small X shape where you want the center of the eyelet to be. 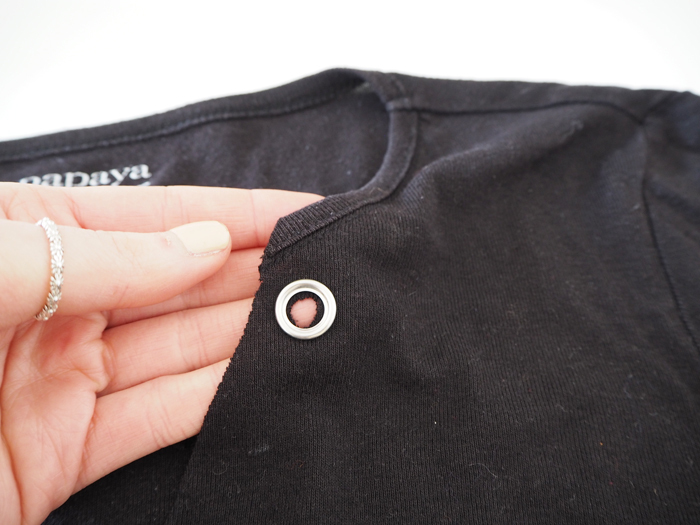 Then make the hole bigger by trimming away the fabric, until your hole is just a little smaller than the eyelet. 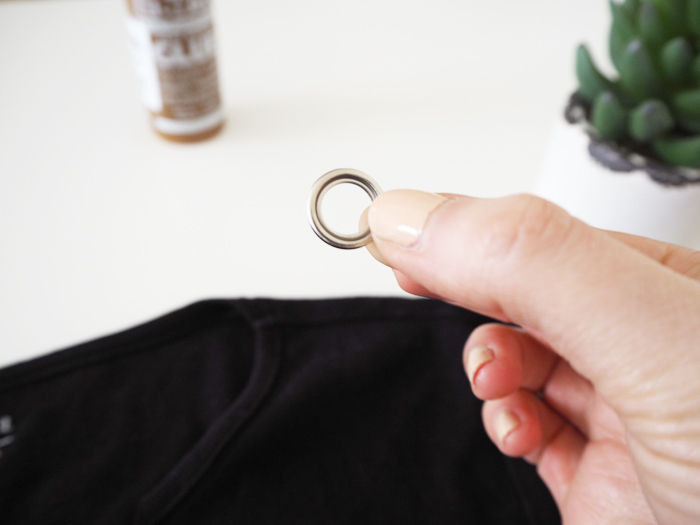 Remember you want to have fabric for the eyelet to glue to so try not to make the hole bigger than the outside of the eyelet or it will just fall through. 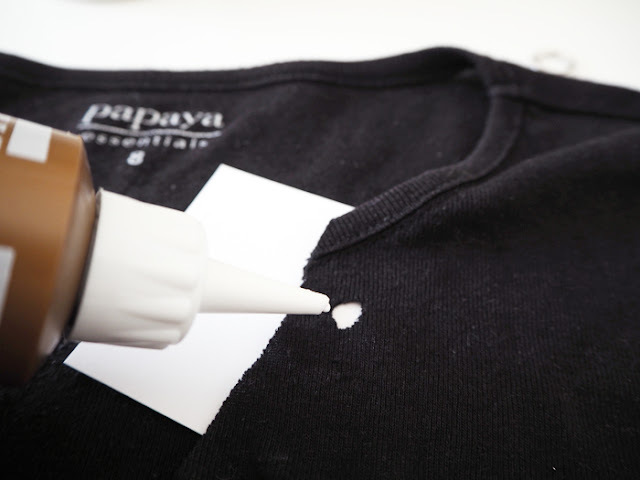 With a little cardboard in between the layers of you top to stop it sticking together, dab small blobs of the fabric glue around the hole you have just cut. 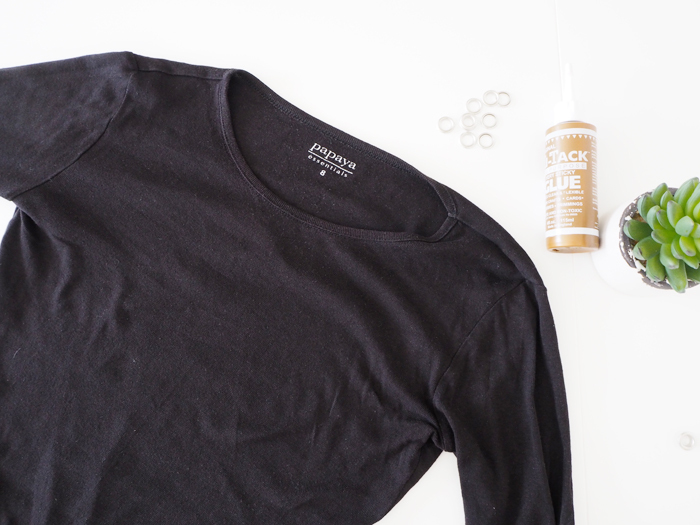 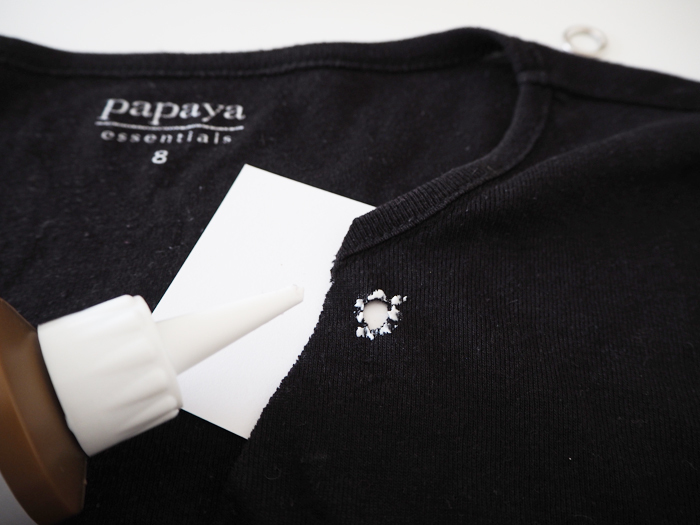 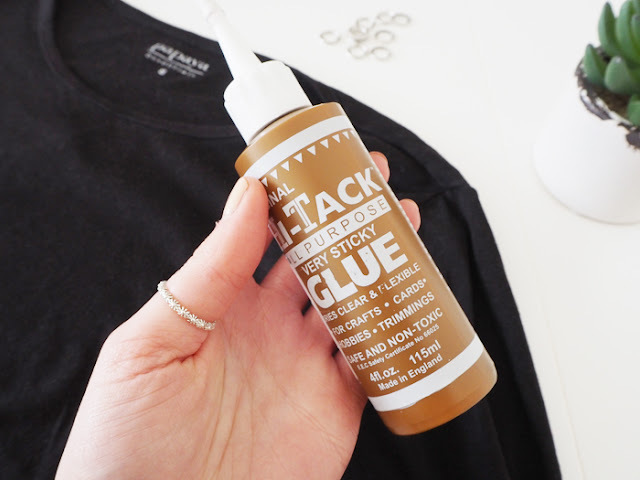 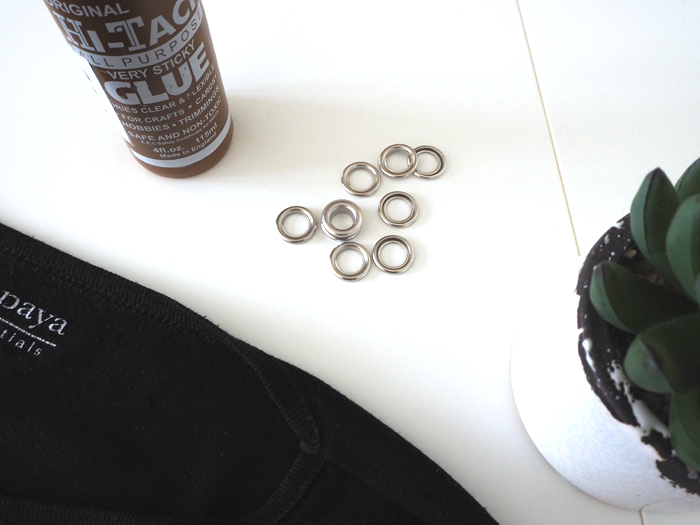 Place the eyelet on the glue and using your finger squeeze down until it has bonded. 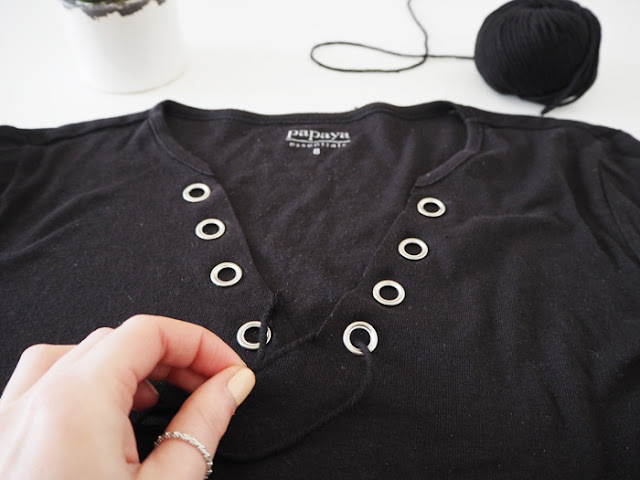 Repeat with the other eyelets until you have stuck them all down around the v shaped neckline. 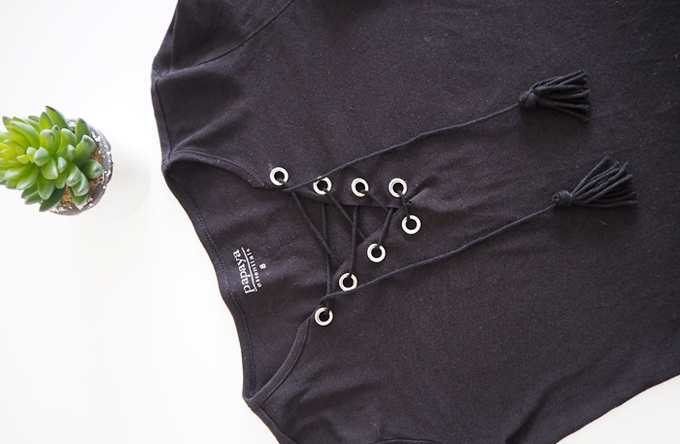 Now its time to add the ‘lace up’ part to your top. 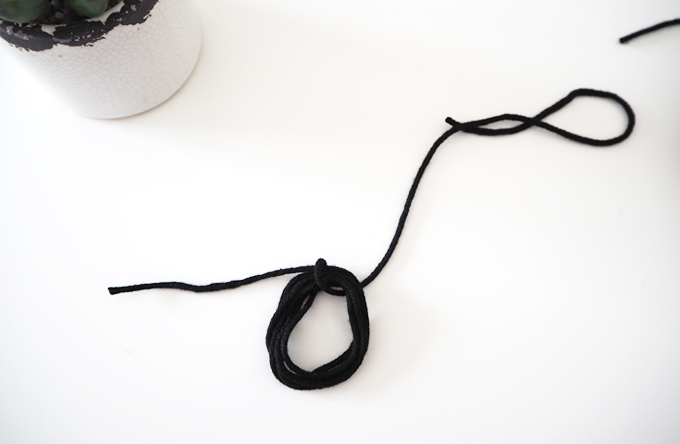 I used some left over yarn I had from a crocheted top I made last week, but ribbon, cord or a shoe lace will work just as well. 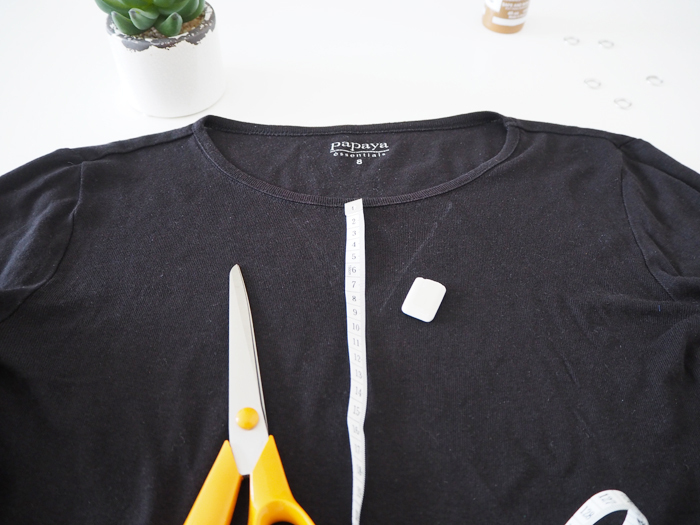 Cut a long piece about 1m. 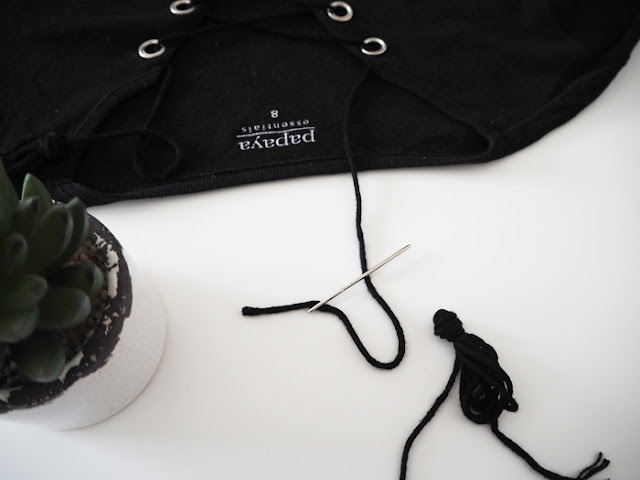 Starting from the bottom of the V shape, thread the yarn through each eyelet, working your way up whilst crossing over to the opposite side each time. A bit like lacing up a shoe! 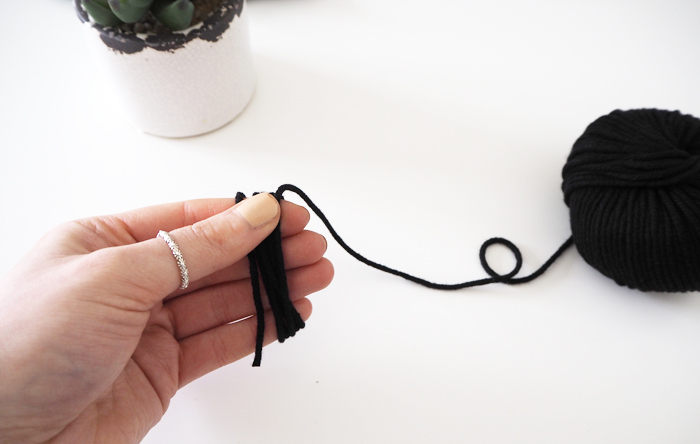 Grab some more yarn or ribbon and start by wrapping around your hand a few times, to make the tassels. 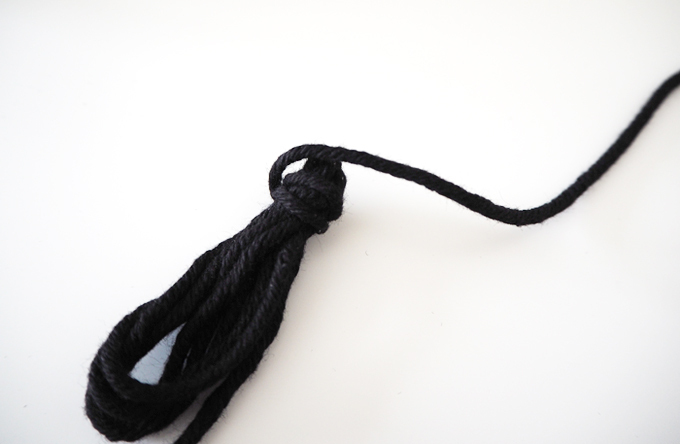 Cut off, leaving a long tail which you can then use to knot around the top of your tassel and secure the loop in place like above. 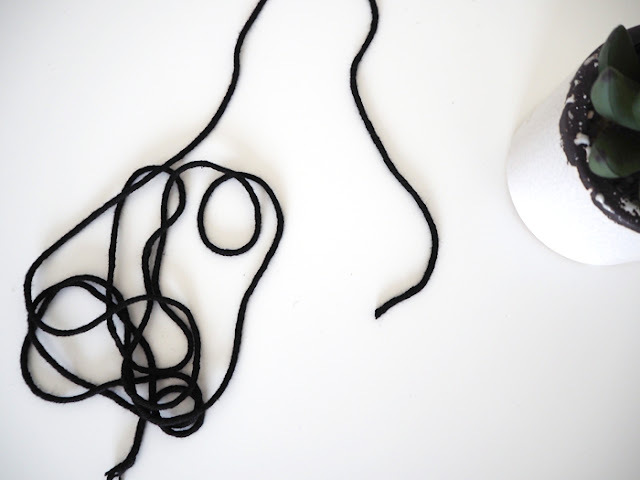 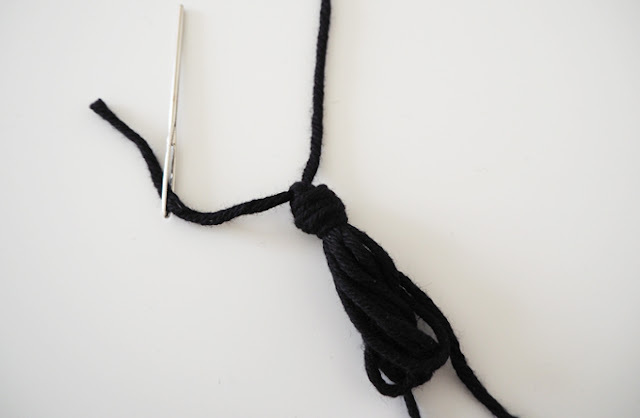 Tie tightly, then using a large needle, attach the yarn used to lace your top to the tassel by looping it through the knot at the top and tie. 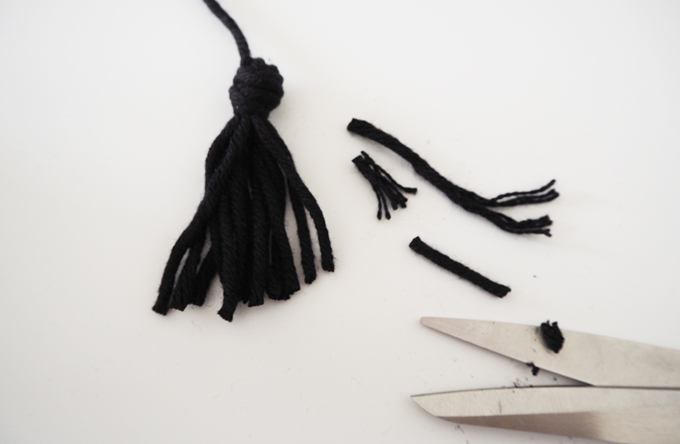 Last thing to do is trim your loop to make loose tassel ends and repeat for the other side. This is such an easy way to bring an old winter top right up to date for Spring! 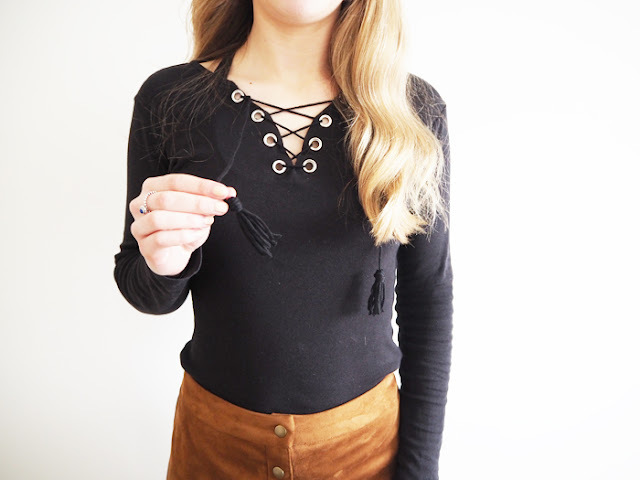 I like to wear mine with my favourite suede skirt and boots for a laid back seventies look. I am definitely going to be trying this on other tops I have lurking at the back of my wardrobe that I never wear. 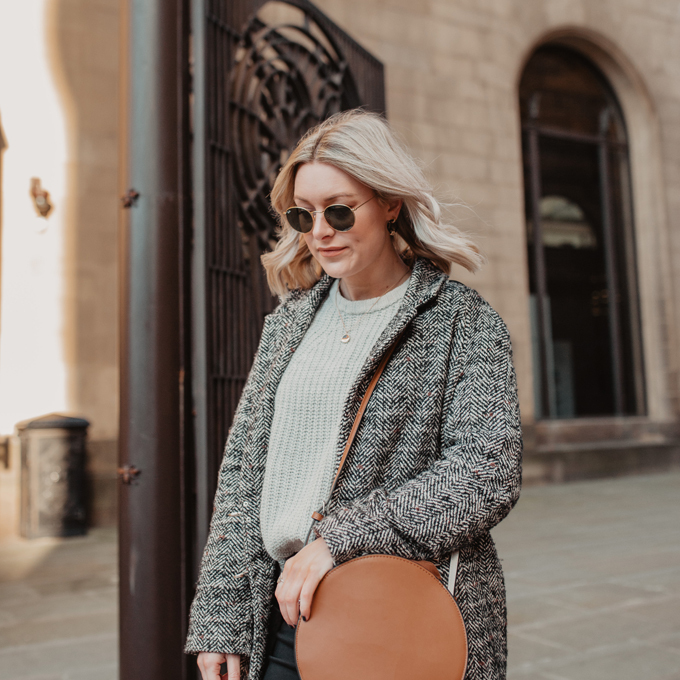 I hope you guys have enjoyed the first ‘Spring Wardrobe Update’ post, follow me on bloglovin‘ or twitter for more ways to revamp old clothes this spring. 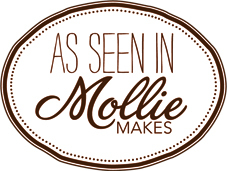 Thanks for reading & Happy Easter!